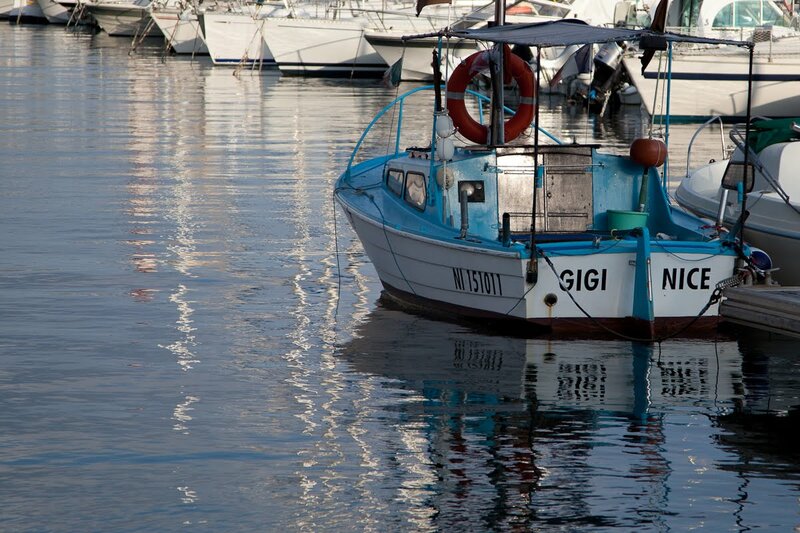 Just a little blue boat in the port of Menton. Remember Colette's Gigi and the musical with Maurice Chevalier, Lesley Caron, Louis Jourdan. Juste un petit bateau bleu dans le port de Menton. Souvenez-vous de Gigi de Colette et la comédie musicale avec Maurice Chevalier, Lesley Caron, Louis Jourdan. I do remember it. And when I saw the title before I saw the photo, I was expecting an ingenue. But the boat is lovely too. Lovely reflections in the water...and a nice reminder of the film. I do indeed...I rented the DVD recently. :) Lovely photo, as always. Loved that movie!!! Sweet little boat!!! Merci pour cet extrait ! je viens juste de terminer la lecture de l'autobiographie de Leslie Caron. Et Louis Jourdan, quelle beauté, quelle classe !